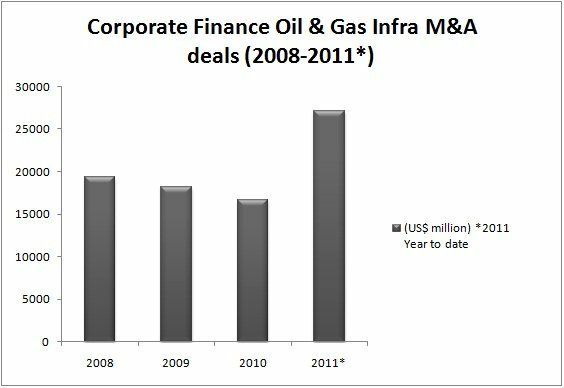 As we approach the end of the year, the Oilholic is convinced that 2011 will see M&A activity in the oil & gas sector returning to, or perhaps even exceeding pre-crisis deal valuation levels. Research for Infrastructure Journal by this blogger suggests that while the year still has a little over two months left the deal valuation figure for acquisition of oil & gas infrastructure assets, using September 30th as a cut-off date, is well above the total valuation for 2008, the year that the global credit squeeze meaningfully constricted capital flows. Michael Byrd, Houston-based partner at Baker & McKenzie feels that conditions for making an oil & gas asset acquisition are quite conducive, more so for upstream assets. 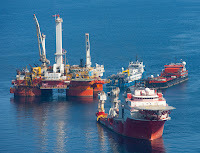 “Opportunities exist in all three – Downstream, Midstream and Upstream projects, but in case of the latter, projects in remote offshore and onshore basins have become more economical due to new technologies and more favourable oil prices (long-term),” he said in recent webinar which makes for compelling listening, caveats and all, if asset acquisition is on your mind. You could possibly download a recording here. Alternatively, Baker & McKenzie have another one of these webinars coming-up on November 16 under their Global Energy Webinar Series. This one would discuss the full cycle of tax planning and compliance issues around permanent establishments for major energy and power projects. Moving away from IJ’s figures and Baker & McKenzie webinars, financial advisers Ernst & Young’s research on a related note suggests that increases in M&A of London-based AiM-listed oil & gas firms are to be expected following substantial falls in their market valuation. The firm’s quarterly index shows the value of AiM-listed oil and gas companies fell 26% in the three months to September. The index has been in decline since the start of 2011. Additionally, fundraising by AiM-listed oil and gas companies totalled £168.7 million during the third quarter - a fall of 48% on the same quarter last year. 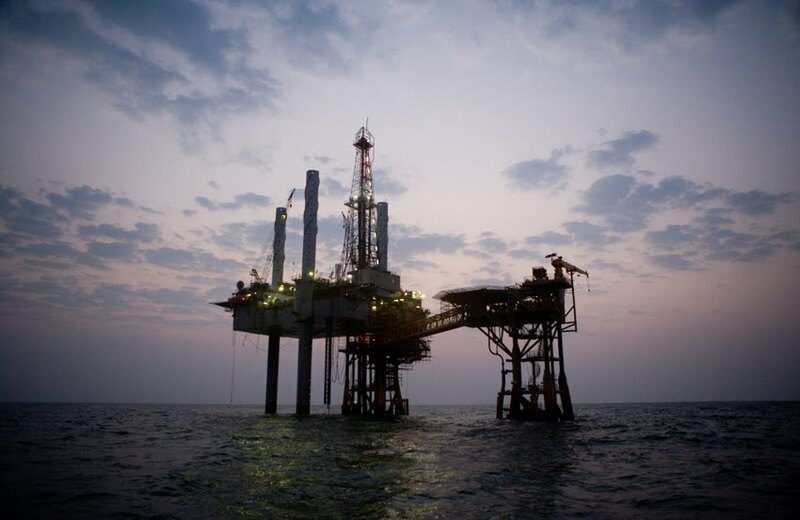 Jon Clark, oil & gas partner at Ernst & Young, said, "Those companies with weaker balance sheets and particularly those with development projects will be looking towards larger, better capitalised acquirers. The slowdown in the global economic recovery and the market turbulence created by issues including the US credit downgrade and the eurozone sovereign debt crisis will continue to turn investors off riskier assets. This doesn't bode well for the fourth quarter." All-in-all, the remainder of 2011 would be a good time to swoop for an asset or even an entire mid-cap company. Concurrently, the oil majors are queuing up to announce decent profits. 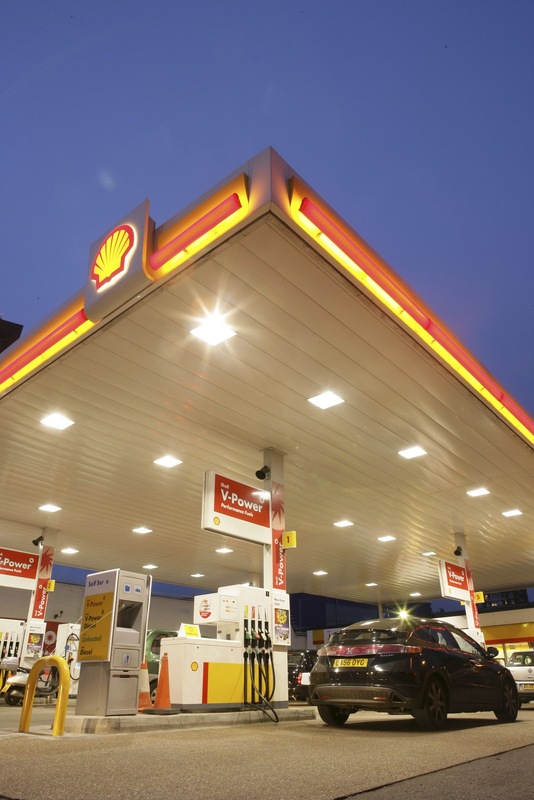 The third quarter’s current cost of supply net income at Shell doubled to US$7.2 billion, compared with US$3.5 billion during the same period a year ago. ExxonMobil saw its quarterly profits rise by 41% to US$10.3 billion. Earlier in the week, BP said its operations were “regaining momentum” and that it had “turned a corner” reporting third quarter profits of US$5.14 billion, a near tripling of the US$1.85 billion replacement cost profit it made in the same period a year ago. The firm is also increasing its asset selling programme from US$30 billion to US$45 billion. Meanwhile, the British Energy and Climate Change Select Committee of MPs has criticised the UK Treasury's move earlier this year to increase a levy on the oil & gas industry calling it an "opportunistic raid". On the back of recent good news from the North Sea – they said in a report that the way in which the £2 billion hike was announced may have undermined investor confidence. The report notes: "If the (UK) government is serious about maximising production from the UK Continental Shelf (UKCS), it needs to consider the long-term impact of changes to the tax regime on investment. The evidence on the impact of 2006 increase in the supplementary tax charge on oil and gas production in the North Sea is inconclusive, but there is a clear need to sustain investor confidence by avoiding surprises, such as the further increase announced in the 2011 Budget. It is not sensible to make opportunistic raids on UKCS producers." Powerful stuff – well delivered! Finally, in Thursday intraday trading the crude oil price registered a strong rebound of over 2%, accompanied by a rally in the equity markets following the positive vibes from the European leaders’ summit overnight where an agreement to raise the European rescue fund to €1 trillion was finally reached. Sucden Financial research expects further gains in crude oil prices, as the market seems relieved after the European Summit. The stronger euro provides further support, while most commodity prices enjoying a strong rally. WTI crude oil has further upside potential toward US$95/$96 per barrel, while Brent oil might find modest resistance near the US$115 per barrel area, Sucden analysts note further. The past week has been cruder than ever, loads to talk about – not least a bit of good news from the North Sea for a change. Following BP’s earlier announcement on its commitment to offshore west of the Shetland Islands to the tune of £4.5 billion, Statoil recently doubled the estimate of the size of its crude find in the North Sea. The Norwegian energy major now says the Aldous Major South field, a prospection zone linked to the Avaldsnes field operated by Swedish firm Lundin Petroleum, could contain between 900 million and 1.5 billion barrels of recoverable oil. From the North Sea to Col. Moammar Gaddafi – whose gory end had a near negligible impact on crude oil futures according to evaluations conducted by several City analysts. The former Libyan dictator was killed by revolutionary forces in his hometown of Sirte last Thursday. Most analysts felt focus had already shifted, following the fall of Tripoli, to restoring Libyan production. In fact damaged oil terminals, already factored in to the pricing strategy and supply/demand permutations, were more of a concern than the Colonel’s demise. As Libya moves forward, what sort of government takes shape remains to be seen. Continuing with pricing, the ICE Brent forward month futures contract could not hold on to early gains last week and stayed below the US$110 level, but the WTI had a mini rally ending the week above US$87. Today in intraday trading Brent’s flirtation with the US$110 level and WTI’s with US$88 continues with all eyes on the outcome of the EU leaders’ summit on October 26th. Analysts at Sucden Financial Research, expect some further consolidation in the oil market ahead of the meeting. “Thus, volume might be muted while high volatility and nervous trading are possible to dominate the markets. In the meantime, currencies movements will remain the key driver of oil direction, while it will be interesting to watch how the global equity markets will digest any breaking news,” they wrote in an investment note. Moving away from pricing but on a related note, the Oilholic found time this weekend to read documents relating to the US Commodity Futures Trading Commission’s (CFTC) 20th open meeting on the Dodd-Frank regulations which approved, on October 18th, amongst other things, the final rule on speculative position limits. The final ruling, according to the CFTC, will establish ground rules for trading 28 ‘core’ commodity futures contracts and also ‘economically equivalent’ futures, options and swaps. The limits are going to be introduced in two phases. Wait a minute, it gets ‘better’ – limits for ‘spot-month’ will be introduced after the agency further defines what a ‘swap’ contract is (eh???). It seems there is no strict timeline for that definition to come about but the world’s press has been informed that the definition should come before the end of the year. The trading of four energy contracts will be affected – i.e. NYMEX Henry Hub Natural Gas, NYMEX Light Sweet Crude Oil, NYMEX New York Harbor Gasoline Blendstock and NYMEX New York Harbor Heating Oil. As for the nitty-gritty, the initial spot month limits will be the CFTC's legacy limits for agricultural commodities (e.g., 600 contracts for corn, wheat and soybeans, 720 for soybean meal and 540 for soybean oil). For other commodities, exchange limits will be applied. Thereafter, spot limits will be based on 25% of the deliverable supply as determined by the exchanges and these will be adjusted every other year for agricultural contracts but each year for metals and energy. In the second phase, the CFTC will set limits for positions in non-spot contracts (and all months combined) based on open interest. The CFTC should have that data by August 2012. In practical terms, it appears that the all months combined/single month limits will therefore take effect in late 2012 or early 2013 after the CFTC reviews the data, comes up with limits and imposes them. The CFTC promises to conduct a study 12 months after implementation and would ‘promptly’ address any problems. However, Haigh notes that by all logical reasoning, the study would be at least one year after full implementation, so sometime in 2014. “A reversal of rules would obviously come much later. By then, the damage may have already been done and the markets would have seen even wider gyrations in prices with the removal of liquidity,” he concludes. Rounding things up, ABN-AMRO – the ‘once’ troubled Dutch bank is attempting to ‘re-establish’ its international presence to energy, commodities and transportation clients according to a communiqué issued from Amsterdam this morning. To this effect, a new office was opened in Dallas staffed by a 'highly regarded' energy banking team swiped from UBS. More offices are to follow in Moscow and Shanghai over the coming year on top of an existing network of 10 international offices. Lets see how the reboot goes! Starting with a note about a tragedy is not the Oilholic’s idea of a blog post but one that is unfolding off the coast of New Zealand is a deeply troubling one. A cargo ship – the Rena – which is stuck on a Kiwi reef since October 5 is presently spewing oil in that pristine part of the world. Local media and the BBC report large cracks in its hull with the ship listing badly with more than 350 tonnes of heavy fuel oil having spilled into the water so far killing over a 1,000 sea birds. An even bigger source of worry is that with worsening weather conditions swells of up to 13ft are battering the ship. If it breaks apart, it will be one hell of mess as the Rena is carrying 1700 tonnes of heavy fuel and an additional 200 tonnes of diesel. A massive clean-up operation is presently underway led by Maritime New Zealand (MNZ), with the country’s army and thousands of volunteers. The Oilholic wishes them well. Moving on to a corporate story about another oil spill in a different part of the world – BP’s Deepwater Horizon incident. It emerged this week that after months of initially denying responsibility, Anadarko Petroleum reached a US$4 billion settlement agreement with BP related to the 2010 Gulf of Mexico spill. While no one, except for the legal eagles, will ever know what transpired behind closed doors, from initially denying any culpability for the incident to the settlement with BP, Anadarko’s move is largely being seen as a pragmatic one. In fact, ratings agency Moody’s believes the payment is “materially less” than their loss assumption of up to US$8 billion. The agency has placed Anadarko Ba1 Corporate Family Rating and Ba1 senior unsecured notes ratings under review for upgrade with approximately US$13.5 billion of rated debt affected. Pete Speer, Moody's Vice President notes: "Our ratings review will focus on the extent of the company's residual liability exposures related to the Deepwater Horizon event and the potential for continued improvement in its fundamental credit profile in 2012." Additionally, Anadarko will transfer its 25 per cent ownership interest in Macondo (or Mississippi Canyon block 252 aka MC252) to BP in exchange for BP releasing all its claims against Anadarko for all outstanding invoices billed to Anadarko to date and to forego future reimbursement for any future costs related to the event. Concurrently, BP has agreed to fully indemnify Anadarko for damage claims arising under the Oil Pollution Act, claims for natural resource damages and associated damage assessment costs, and any claims arising under the relevant joint operating agreement. The settlement does not provide for indemnification by BP against fines and penalties (e.g., Clean Water Act), punitive damages or certain other claims, which Anadarko does not consider to be a material financial risk. In another development, Kinder Morgan Kansas Inc. announced that it has reached an agreement to purchase 100 per cent of the stock of El Paso Corporation (KMK). The acquisition of El Paso will be funded with US$11.8 billion of new debt at the KMK level and US$9.6 billion of KMK equity and is expected to close in the first half of 2012. Upon closing, KMK will be collapsed into Kinder Morgan Inc. (KMI). Finally coming on to the crude price, there hasn’t been much movement on a week over week basis using both leading benchmarks. The reason is that last week’s gains were almost entirely wiped out, Monday to Monday. While Brent retreated from US$110 level to just above US$108 level; WTI fell from US$88 to US$85 in Tuesday intraday trading, which is pretty much where they were at the start of last week. Same old reasons can be assigned too, i.e. Eurozone worries, perceived economic cooling in the Far East and heavy losses on equity markets. Myrto Sokou of Sucden Financial Research feels it is all about the Eurozone and how the markets will digest the news that there is no clear solution yet about Eurozone’s debt issues, while the current political and economic conditions in the region look very uncertain. “The sharp reality that the problems in the region are systemic is likely to weigh heavily on the markets in the coming weeks,” Sokou concludes and the Oilholic concurs. Finally, to end on a happy note, on October 13 the Oilholic joined the great and the good of British journalism for the 2011 London Press Club Ball in aid of the Journalists’ Charity. On a great evening, one got to meet many old contacts and made yet newer ones in the backdrop of the London Natural History Museum. The usual pomp, razz, wining, dining, dancing and networking aside, there was a very serious charity auction. The Oilholic (see above) tried rather unsuccessfully to bid for a year’s ride in an new Jaguar model but was outbid by much more serious punters all in it for a good cause. He also (sigh!) came seriously close to bagging a free flight to New York in a charity raffle – but alas it wasn’t to be! Oh well, there’s always a next time. Exploding the resource curse ‘myth’? The resource curse hypothesis has its detractors and supporters in equal measure. The vanguard of many a commodities bubble – crude oil – often leads the discussion on the subject as the ‘resource’ in question. 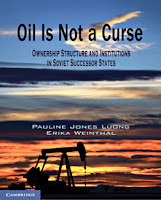 The title of a book, the first edition of which was published last year, by two academics Pauline Jones Luong and Erika Weinthal – Oil is Not a Curse – simply gives away which side of the argument they are on. 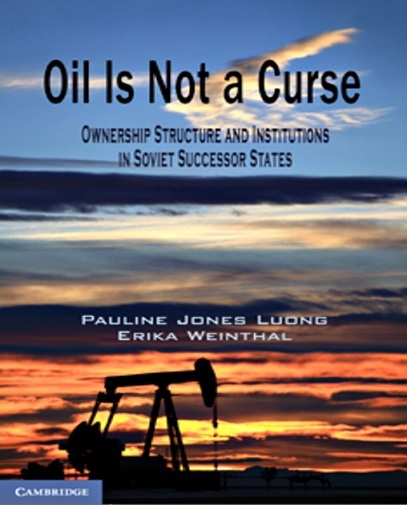 Using Former Soviet Union (FSU) nations as case studies, Luong and Weithal opine that resource-rich states are cursed not by their wealth but, rather, by the ownership structure they choose to manage their natural resources with. Furthermore, contrary to popular beliefs, they also stress that weak institutions are not a given in resource-rich nations. Without a shadow of doubt, such a chain of thought while not unique to the authors is indeed a significant departure from the conventional resource curse literature, especially journalistic writing, which has by and large treated ownership structure as a constant across time and space and has (largely) presumed that resource-rich countries are incapable of either building or sustaining strong institutions – particularly fiscal regimes. While popular conjecture is based on the usual suspects in the Middle East and Africa, this book of just under 430 pages split by ten chapters, highlights the experiences of the five petroleum-rich FSU states of Azerbaijan, Kazakhstan, the Russian Federation, Turkmenistan, and Uzbekistan to challenge prevalent assumptions about the resource curse. The text is backed-up and contextualised with aid of ample graphs, appendices and tables. Admittedly, while the arguments offered are very convincing in certain parts of the book, the Oilholic remains sceptical about of the case(s) in point especially those pertaining to Russia and Turkmenistan. However, at the same time the authors’ arguments in context of the other three of the aforementioned jurisdictions – especially Kazakhstan strike a convincing chord. This FSU’s developmental trajectories since independence certainly demonstrates that ownership structure can vary even across countries that share the same institutional legacy and that this variation helps to explain the divergence in their subsequent fiscal regimes. One of the chapters in the book on foreign private ownership in Kazakhstan is one of the best the Oilholic has read on the topic. The authors’ concluding chapter makes a reasonably, if not overwhelmingly, persuasive case about why the resource curse hypothesis is a myth. Ultimately, Luong and Weithal believe our take on the subject depends on the broadness of our frame of reference. Warning against faulty generalisations and assumptions over a truncated period of time, they feel that if scope and time frame of the research is broadened – it is not crude oil which is the curse, but Petroleum wealth, which becomes an impediment under certain conditions especially when state-owned and controlled. The Oilholic really liked the book, albeit with some reservations and is happy to recommend it to those interested in oil, the resource curse hypothesis, current geopolitical debates and energy economics. © Gaurav Sharma 2011. Photo: Cover of ‘Oil is not a curse' © Cambridge University Press 2010. Since Q1 2009, Brent has been trading at premium to the WTI. This divergence has stood in recent weeks as both global benchmarks plummeted in wake of the recent economic malaise. WTI’s discount reached almost US$26 per barrel at one point. Furthermore, waterborne crudes have also been following the general direction of Brent’s price. The Louisiana Light Sweet (LLS) increasingly takes its cue from Brent rather than the WTI, and has been for a while. Its premium to WTI stood at US$26.75 in intraday on Wednesday. The fact that Brent is more indicative of the global economic climate has gone beyond conjecture. OPEC has its own basket of crudes to look at, but got spooked on Wednesday as Brent dipped below the US$100 mark, albeit briefly and WTI came quite close to settling below US$75.50. Iraq’s Deputy Prime Minister for energy, Hussain al-Shahristani, said that there was “no need” for the cartel to review its oil output at the next OPEC meeting (on December 14th in Vienna), but stopped shy of calling for a cut in oil production. Nonetheless, al-Shahristani did say that it would be “difficult” for his country to accept crude prices below the US$90 mark. There also appears to be little appetite within the cartel to hold an emergency meeting and the Oilholic sees the chances of that happening being quite remote. If the oil price continues to slide, then it would be a different matter but quite simply a correction rather than a freefall would be the order of the day. On Thursday morning prices rose, aided by a weaker US Dollar, the US Fed’s indication of implementing further stimulus measures and the Bank of England’s move to initiate £75 billion worth of quantitative easing. Sucden Financial research notes that after Tuesday’s bullish reversal, crude oil saw mixed trading early Wednesday as private reports about the US employment situation were mixed. Some optimism regarding more willingness to strike some solutions for the European debt issues seemed to underpin some trading as the euro generally maintained its gains. “Technically, WTI futures may still have vulnerability toward the US$74 area but the recent gains have set technical potential for gains which could test toward US$83 area. Brent futures have technical patterns that may suggest tests of strength toward the area of US$106; supports may be expected near US$100 and US$95 areas,” Sucden notes further. Whichever way you look at it, OPEC heavyweights led by Saudi Arabia, while not averse to cuts, have no appetite for an emergency meeting of the cartel as December is not that far away. Rounding things off, following Italy’s rating downgrade, it came as no surprise that debt ratings of Italian government-related issuers (GRIs) would be impacted, as Moody’s responded by downgrading the long term senior unsecured ratings of Italian energy firm Eni and its guaranteed subsidiaries to A1 from Aa3 and the senior unsecured rating of Eni USA Inc. to A2 from A1. The Prime-1 rating is unchanged. Approximately €13.1 billion of long-term debt securities would be affected and the outlook for all ratings is negative. However, Moody’s notes that in the context of weakened sovereign creditworthiness, the likelihood of Eni receiving extraordinary support from the Italian government has significantly diminished. Moody's has consequently removed the one-notch ratings uplift that had previously been incorporated into Eni's rating. It also added that Eni's A1 rating continues to reflect the group's solid business position as one of Europe's largest oil & gas companies. “The group displays a sizeable portfolio of upstream assets that has been enhanced in recent years by a string of acquisitions. Looking ahead, the planned development of Eni's attractive pipeline of large-scale projects should help underpin its reserve base and production profile,” the agency concludes. Eni, which is also Libya’s biggest producer, resumed production in the country for the first time since the uprising against Col. Moamar Gaddafi’s regime. A company source says it may begin exporting Libyan crude by the end of October or earlier. The last two weeks have been tumultuous for the oil market to say the least. This morning, the ICE Brent crude forward month futures price successfully resisted the US$100 level, while WTI’s resistance to US$80 level has long since crumbled. Obviously, the price of crude cannot divorce itself from the global macroeconomic picture which looks pretty grim as it stands, with equity markets plummeting to fresh new lows. Bearish sentiments will persist as long as there is uncertainty or rather the "Greek tragedy" is playing in the Eurozone. Additionally, there is a lack of consensus about Greece among EU ministers and their next meeting - slated for Oct 13th - has been cancelled even though attempts are afoot to allay fear about a Greek default which hasn’t yet happened on paper. Sucden Financial Research’s Myrto Sokou notes that following these fragile economic conditions across the Eurozone and weak global equity markets, the energy market is under quite a bit of pressure. “The stronger US dollar weighs further to the market, while investors remain cautious and are prompted to some profit-taking to lock-in recent gains. We know that there is so much uncertainty and nervous trading across the markets at the moment, as the situation in the Eurozone looks daunting, “ready for an explosion”. 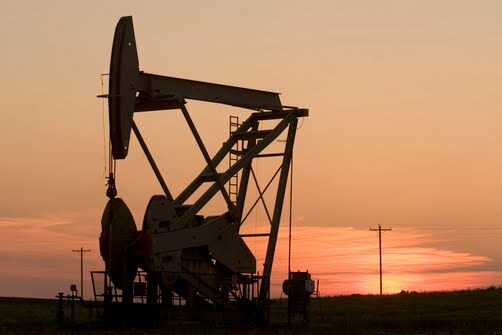 So, we expect crude oil prices to remain on a downside momentum for the short-term, with WTI crude oil retesting the US$70-$75 range, while Brent consolidating around the US$98-$100 per barrel,” Sokou adds. Many in the City opine that some commodities are currently trading below long term total costs, with crude oil being among them. However, in the short-run, operating costs (the short run marginal costs) are more important because they determine when producers might cut supply. Analysts at Société Générale believe costs should not restrict prices from dropping, complementing their current bearish view on the cyclical commodities. In a note to clients on Sep 29th, they noted that the highest costs of production are associated with the Canadian oil sands projects, which remain the most expensive source of significant new supply in the medium to long term (US$90 represents the full-cycle production costs). “However global oil supply is also influenced by political factors. It should also be noted that while key Middle East countries have very low long term production costs, social costs also need to be added to these costs. These costs, in total, influence production decisions; consequently, this may cause OPEC countries cutting production first when, in fact textbook economics says they should be the last to do so,” they noted further. Furthermore, as the Oilholic observed in July – citing a Jadwa Investment report – it is commonly accepted by Société Générale and others in the wider market that Saudi Arabia needs US$90-$100 prices to meet its national budget; and this is particularly true now because of large spending plans put in place earlier this year to pre-empt and counter public discontent as the Arab Spring unfolded. Therefore, in a declining market, Société Générale expects long-dated crude prices to show resilience around that level but prices are still significantly higher than the short-run marginal costs so their analysts see room for further declines. Concurrently, in its September monthly oil market report, the International Energy Agency (IEA) cut its forecast for global oil demand by 200,000 barrels per day (bpd) to 89.3 million bpd in 2011, and by 400,000 bpd to 90.7 million bpd in 2012. Factoring in the current macroeconomic malaise and its impact on demand as we’ve commenced the final quarter of 2011, the Oilholic does not need a crystal ball to figure out that IOCs will be in choppy waters for H1 2012 with slower than expected earnings growth. In fact ratings agency Moody’s changed its outlook for the integrated oil & gas sector from positive to stable in an announcement last week. Francois Lauras, Vice President & Senior Credit Officer - Corporate Finance Group at Moody’s feels that the weakening global macroeconomic conditions will lead to slower growth in oil consumption and an easing in current market tightness over the coming quarters, as Libyan production gradually comes back onto the market. The Oilholic is particularly keen to stress Mr. Lauras’ latter assertion about Libya and that he is not alone in thinking that earnings growth is likely to slow across the sector in 2012. Moody’s notes that as crude oil prices ease and pressure persists on refining margins and downstream activities slower earnings are all but inevitable. This lends credence to the opinions of those who advocate against the integrated model. After all, dipping prices are not likely to be enjoyed by IOCs in general but among them integrated and R&M players are likely to enjoy the current unwanted screening of the Eurozone “Greek tragedy” the least.